French fries—they come in many forms: shoestring, waffle, sweet potato, curly, the list goes on and on. 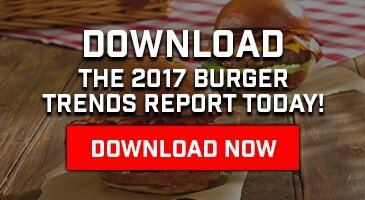 In this year’s Burger Trends Report, French fries remain the most popular side item served with Burgers in 2016. To celebrate this side item dynasty, we asked chefs and restaurant owners to send us their most creative French fry dishes in honor of National French Fry Day. Topped with Sichuan chili, pepper jack cheese, scallions, and sriracha mayo. Topped with chili, cheese sauce, scallions, and bacon. Fresh cut fries topped with cheese, pulled pork, tomatoes, and scallions. Schweid & Sons beef, melted Pepper jack cheese, guacamole, salsa verde, pico de gallo, queso fresco, and cilantro on a waffle fry. Topped with scallions, bacon, and special aioli dressing. Hand-made, jumbo tater tots stuffed with Applewood-smoked bacon, smoked Gouda, Provolone & American Grana cheeses, smoked tomato ketchup, and beer cheese. Topped with Buffalo chicken and scallions. Topped with pepperoni, tomato sauce, and melted mozzarella. Fries piled high with cheese sauces, bacon, pulled pork, homemade guacamole, fried egg, and Cholula.